As food gets increasingly more complex and technical, the simple things can be overlooked. Dish of the Year is a remedy – recognising and celebrating the simple classics being delivered to indulgent perfection and the magicians behind them. After much eating in all corners of the country, the judges have decided and we can now reveal the winners for Dish of the Year 2015. 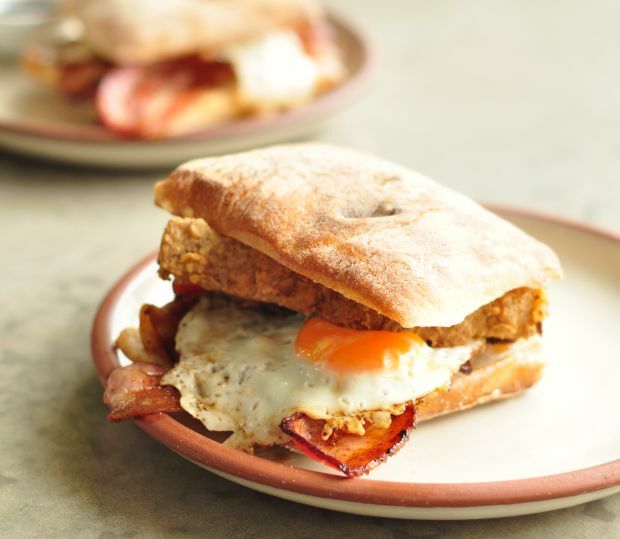 The Runcible Spoon occupies a physical space within the old Westons biscuit factory in Camperdown, Sydney, but an emotional space in the hearts of customers for the indulgent, creative breakfasts and brunches that change to showcase seasonal produce. Chef and owner Alex Watts, who started the cafe almost five years ago after a stint as Head Chef at The Welcome Hotel, is committed to cooking food he loves and can now add 'award-winner' to his CV. “I think what makes the dish stand apart is the addition of salt and pepper fried pork belly. Also, the home-made chilli jam and aioli combination that is added is a knock-out,” says Watts. “It's comforting, it's easy, it's greasy, it's tasty, and you can hold it in one hand and a beer in the other,” says Kenny Graham, co-owner of Newtown's favourite burger joint, on his winning burger. 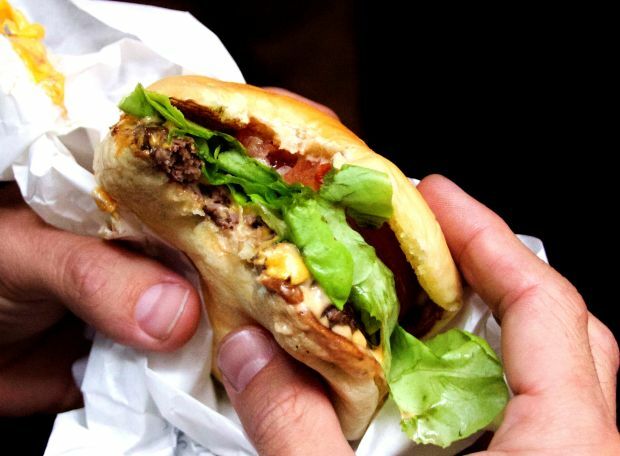 Along with partner-in-crime Jake Smyth, Graham launched Mary's Burgers in Newtown in April 2013 as an establishment that combined the “guilty pleasure of smashing McDonalds without the taxi fare for the drive-through”. The menu is straightforward: burgers or fried chicken. The classic Mary's burger – a beef patty – topped with trashcan bacon earned this year's title of best burger and is described by its creator as “an amalgamation of several of the world's most popular burgers”. The trashcan bacon is smoked on a (clean) trashcan lid and joins the burger in a soft white bun alongside the usual accompanying toppings, impressing both the foodies and foodService judges. Mary's has recently spread its wings to grace a take-away store in Sydney's CBD, but the original Newtown venue offers the whole package of dine-in food and drinks as a “fun and friendly experience” says Graham. Luigi Esposito, the Italian third-generation pizzaioli behind the family-friendly Via Napoli in Lane Cove, is no stranger to receiving awards for his dough-based creations. Deemed ‘Sydney’s Best Pizza 2014’ by Time Out magazine (“an edible catwalk” is how they described it), Esposito’s pizzas are authentic and traditional, created using high quality ingredients that include imported Caputo flour and San Marzano tomatoes. Fittingly for a proud Neopolitan, it was Esposito’s Napoletana that earned our top pizza prize, the recipe one “created by our ancestors” says the chef. The Napoletana, one of fifteen pizzas on a menu that extends into pastas and other Italian specialities, is a dough base topped with San Marzana tomatoes, fior de latte, anchovies, capers, basil and olives, and comes in three sizes. 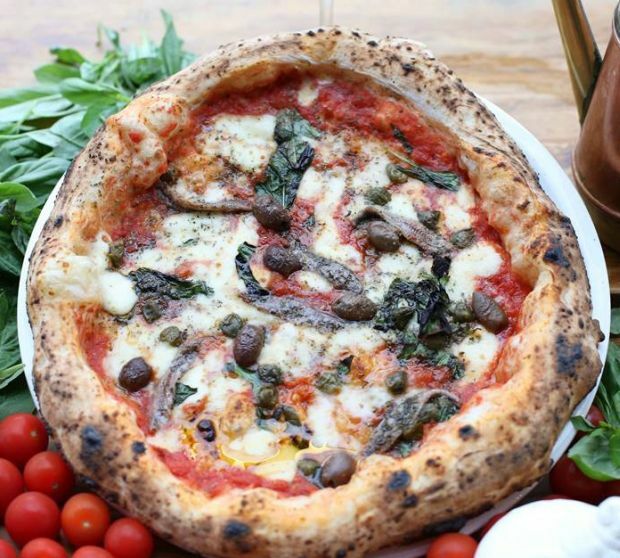 This winning pizza is “very popular, especially with older customers for its simplicity” says Esposito, confirming the Napoletana has been on the menu since the establishment opened and remains a top seller. Fittingly, the Napoletana epitomise the bustling restaurant itself, founded in Novermber 2011 to recreate the experience of visiting a pizzeria in Naples. “The food, atmosphere and staff allow you to be transported to the streets of Naples,” says Esposito of his establishment. The proof of a good dish is in dividing the critics, and FishFace's award-winning fish 'n chips has been fielding complaints and compliments for the 14 years it has been on the menu. Owner chef Stephen Hodges is philosophical - “you can't please everyone” - and credits his win to the freshness and quality of the fish. 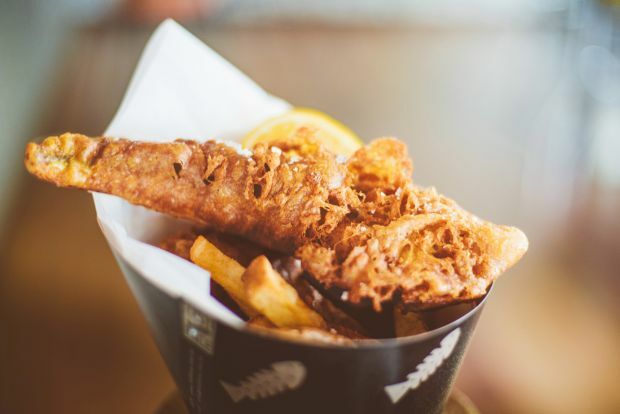 The fish 'n chips is the star of one of Sydney's most beloved seafood restaurants, which opened in Darlinghurst before moving to its current, seaside spot in Double Bay in December 2013. The emphasis is on sustainable seafood, with Hodges bringing skills garnered at Rose Bay's Pier to his first solo venture. Despite its longevity on the menu, the fish 'n chips has undergone four face-lifts during its lifetime, with one of the most recent inspired by the former chef Josh Niland's stint at The Fat Duck with Heston Blummenthal. The batter is all important to the success of the dish, with Hodges admitting he ate “a lot of bad fish n' chips” and experimented with many different batters before reaching what is now a major selling point - “customers like the crispness and lightness of the batter”. FishFace's menu may extend into sashimi and sushi, but for Hodges, the fish 'n chips is a staple - “Fishface wouldn't be FishFace without the fish 'n chips” he says simply. Andrew Bowden, the pastry chef responsible for crafting our award-winning dessert, is on a quest for the “head nod of appreciation” with his decadent peanut butter and banana sundae. 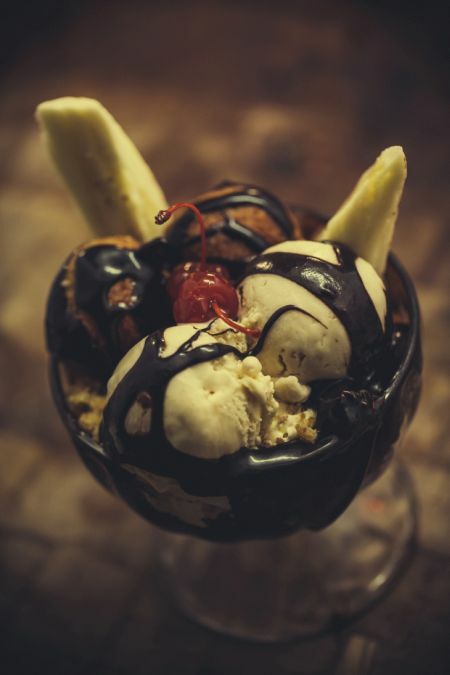 The epic sundae may fit neatly into the American Deep South vibe of Hartsyard where Bowden currently works, but it started life as a peanut butter and banana milkshake Bowden tasted in New York. The shake inspired Bowden to create a dessert but the inaugural version, prepared for his then-employer Wildfire, failed to grab attention - “people kind of scrunched their nose at the idea of a peanut butter dessert”. At Hartsyard it is one of the signatures, having occupied a spot on the menu since the joint opened three years ago, and some customers visit solely to indulge in spoonfuls of the peanut butter and banana creation topped with stuffed home-made doughnuts, home-made pretzel ice cream and lashings of chocolate sauce. Despite his thrill at his dish being crowned Best Dessert, Bowden doesn't have far to look for a justification :“I guess it has something to do with it being so damn delicious,” he says cheekily. A big thank you to our sponsors for the 2015 contest:Tip Top Food Service, Fonterra and PorkStar.